Not the heroes we need, but the heroes we deserve. Not really heroes at all. 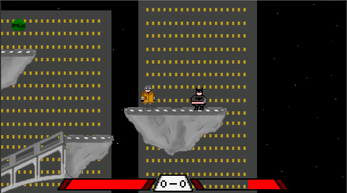 Super Zero League is a local two player fighting game with platformer elements and power-ups. First time doing pixel art.